To donate, either click the button below, which takes you to our PayPal donation page…. If you have a special purpose you want the funds used for, a note with your check would be best, or email us at info@angelesconservationfoundation.org with the information. Want to expand the picture? 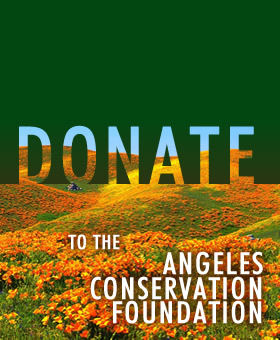 Add the Angeles Conservation Foundation to your trust or will. Please contact us before leaving us non-cash assets such as art work, property, or jewelry. ACF welcomes bequests and other gifts from estates. We can meet your specific interests in helping the environment. Contact us for more information.